Between Lay's Sriracha chips (what), these adorable Sriracha2Go key chains and even Sriracha, the documentary – it’s safe to say this beloved hot sauce is here to stay. We know you love Bushwick and most likely contribute to this worldwide Sriracha cult, so combining the two would be the ultimate combo right? Bushwick hot sauce lovers unite. 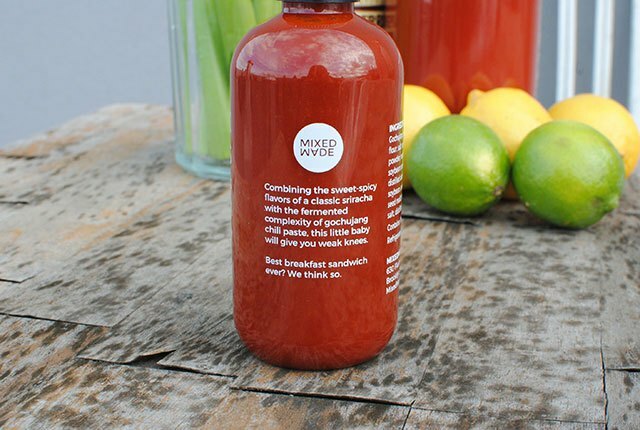 Our friends over at MixedMade have launched a special new product we think you are going to love - Weak Knees Gochujang Sriracha. Imagine traditional sweet and spicy notes dancing on your tastebuds, with a base of gochujang – a Korean paste of fermented chili peppers. It'll change the way you feel about hot sauce and will convert the nonbelievers – if there even are any these days. Tangy like ketchup on the front, Weak Knees quickly turns spicy on the aftertaste (hence the weak knees). Even so, the complex flavor is very well balanced. I own the mass-produced, go-to Huy Fong Sriracha and I must say, Weak Knees does taste much better and is richer in flavor. The fact that the condiment is blended, bottled and hand-shipped in Bushwick is reason enough to trust its high quality. 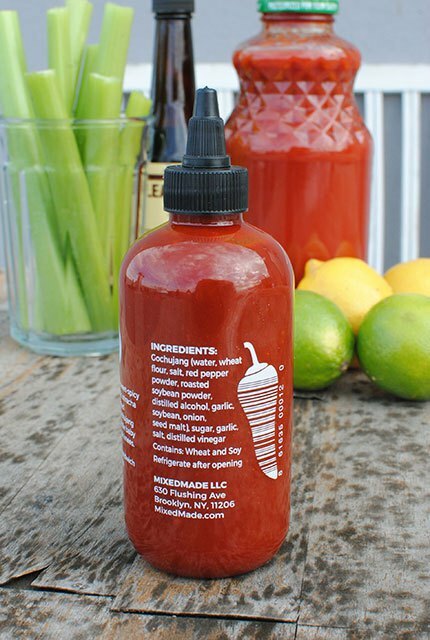 For those who haven’t ventured into Sriracha to begin with, do not fret. There is even a ‘Sting Free Guarantee,’ which means that if you don’t like Weak Knees, for any reason at all, MixedMade will actually refund your money. Yes, that is a true statement. Aside from their latest creation, the Bushwick-based business is known for their Bees Knees Spicy Honey, which is heavenly on Roberta’s pizza. They additionally created Trees Knees Spicy Syrup - which adds a great kick in iced coffee. MixedMade’s judgment is definitely trusted when it comes to innovative tastes, sourcing ingredients as locally as possible and enhancing the cuisine we already love. Honestly, these are just some guidelines. Be adventurous and creative! Anything that can use a pop of flavor is a good place to start. 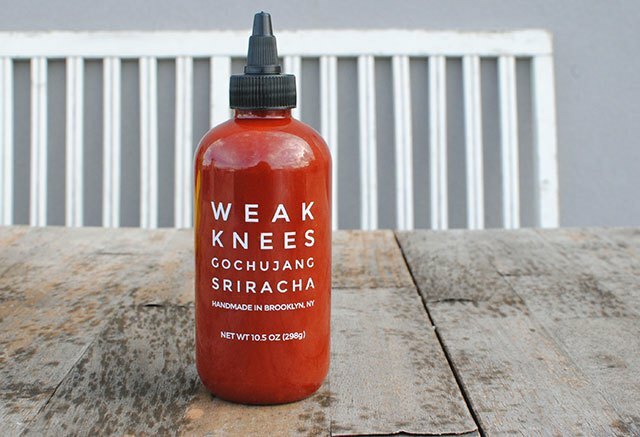 I decided in order to give a proper write up on Weak Knees; I’d have to create something delicious with the sriracha - to fully appreciate its contribution to food and beverage options. As I was writing this, it was a beautiful Sunday, my roommates were home and I have a rooftop – so bloody marys it was! 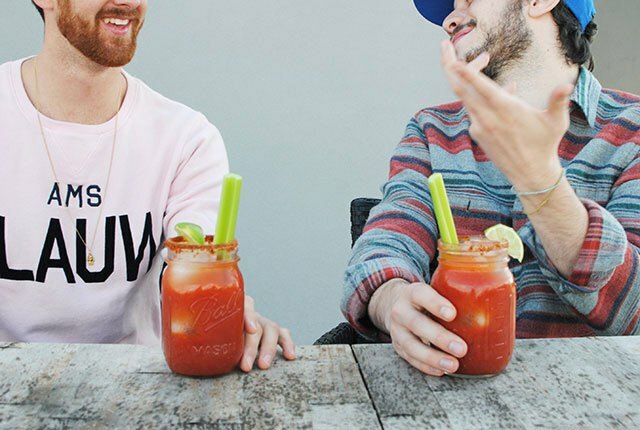 Bloody marys are a perfect Sunday treat for any Brooklyn rooftop hang or (let’s be real) an effective hair of the dog trick. They’re actually easier to make homemade than you would think. 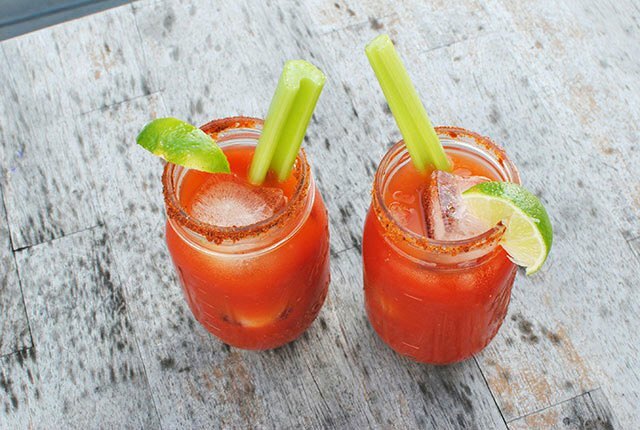 Also, your homemade bloody mary will probably taste even better than the one from your local brunch spot, because you’re combining the ingredients immediately beforehand. Plus you can drink plenty, not hurt your wallet and have the option stay in the comfort of your home after a late night. After stirring up tomato juice, some citrus, splashes of Worcestershire sauce and vodka, I put a generous squeeze of Weak Knees into my pitcher. I twirled around the deep red, slightly thick condiment to blend, as I added salt, pepper and ice. I cut some celery for garnish and constructed Old Bay rimmed mason jars for a nice photo touch! 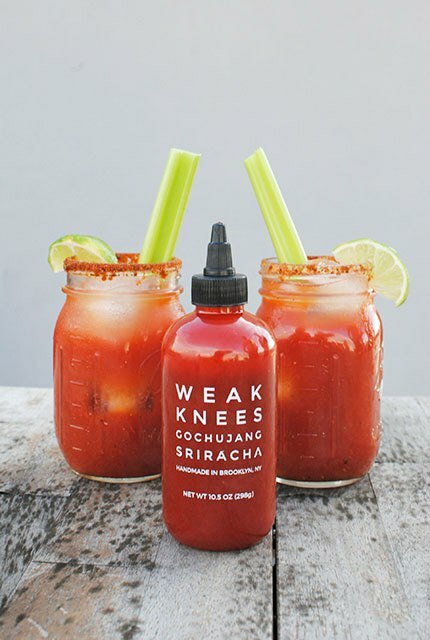 For those who like bloody marys but the horseradish burns a bit too much, Weak Knees is a great alternative. You have a moderate amount of heat, but your eyes aren’t necessarily watering (unless it’s from tears of joy upon tasting). It’s definitely more garlic-based than you would think, which creates a good in-between for the heat lovers and sensitive palates alike. My roommates are tough critics and they both commented how much they enjoyed Weak Knees because it did not overshadow the taste, but it was definitely present in the classic cocktail. 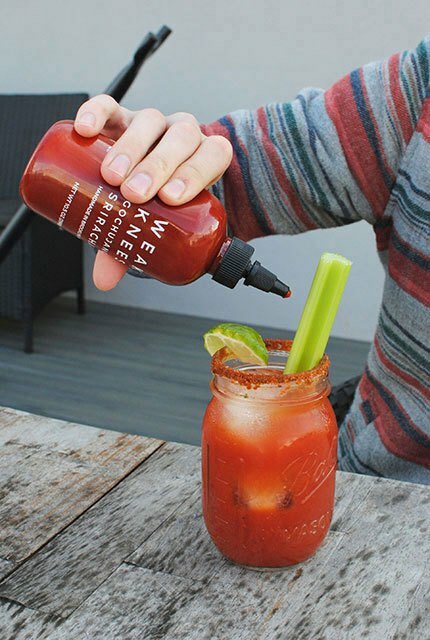 Weak Knees is a special addition and modern twist for bloody marys', but to make the ultimate sriracha breakfast – add that bacon and egg sandwich in the mix. Supporting your hot sauce dependence while also supporting a Bushwick business seems like the perfect combo to me and MixedMade absolutely does not disappoint.